‘We are pleased to take part in this mission and to support the Premier’s efforts to strengthen ties and encourage new investments and partnerships between our two regions,’ says Peter Mascher, McMaster’s Associate Vice-President, International who will join Ontario Premier Kathleen Wynne on a week-long business mission to the Middle East. McMaster is among a select group of Universities taking part in the mission, which will focus on establishing Ontario as a top innovation and knowledge economy partner in life sciences and as an investment destination for businesses. During the May 15-20 mission, Mascher will join the Premier in Tel Aviv and Jerusalem, and will sign Memoranda of Understanding (MOU) with two of Israel’s top post-secondary institutions, Tel Aviv University and Hebrew University. Theses agreements will explore the development of multi-disciplinary research projects, research internships, industry-based training programs, identify joint supervision, or “cotutelle,” opportunities for Ph.D. candidates and explore product development for global markets. Mascher will then travel with the Premier to Ramallah in the West Bank where he will sign four MOUs including three with Palestinian post-secondary institutions; An-Najah National University, Birzeit University and Bethlehem University. The MOUs will promote the exploration of opportunities for academic and research collaboration, including capacity-building activities such as, faculty and curriculum development, community-focused programs, international research internships, workshops and research exchanges for faculty, researchers and staff. Accompanying Mascher will be Jonathan Bramson, Professor in McMaster’s Department of Pathology and Molecular Medicine and Assistant Dean, Research Infrastructure of the Faculty of Health Sciences. He holds a Tier I Canada Research Chair in Translational Cancer Immunology, the John Bienenstock Chair in Molecular Medicine, and is the Managing Director of the Fraunhofer Project Centre– Biomedical Engineering and Advanced Manufacturing (BEAM). Bramson will meet with representatives from research institutes, technology transfer centres and companies to explore research collaborations and commercialization opportunities. This is the third time in the past year that McMaster has been invited to participate in an international delegation led by Premier Wynne. Mascher also took part in a research and development summit in China last November, and in a business and higher education mission to India earlier this year. McMaster’s Associate Vice-President, International Affairs, Peter Mascher, will join Ontario Premier Kathleen Wynne on a <a href="https://news.ontario.ca/opo/en/2016/04/premier-announces-details-of-business-mission-to-middle-east.html">week-long business mission to Israel and the West Bank</a>. McMaster is among a select group of Universities taking part in the mission, which will focus on establishing Ontario as a top innovation and knowledge economy partner in life sciences and as an investment destination for businesses. During the May 15-20 mission, Mascher will join the Premier in Tel Aviv and Jerusalem, and will sign Memoranda of Understanding (MOU) with two of Israel’s top post-secondary institutions, Tel Aviv University and Hebrew University. Theses agreements will explore the development of multi-disciplinary research projects, research internships, industry-based training programs, identify joint supervision, or “cotutelle,” opportunities for Ph.D. candidates and explore product development for global markets. Mascher will then travel with the Premier to Ramallah in the West Bank where he will sign four MOUs including three with Palestinian post-secondary institutions; An-Najah National University, Birzeit University and Bethlehem University. The MOUs will promote the exploration of opportunities for academic and research collaboration, including capacity-building activities such as, faculty and curriculum development, community-focused programs, international research internships, workshops and research exchanges for faculty, researchers and staff. Accompanying Mascher will be Jonathan Bramson, Professor in McMaster’s Department of Pathology and Molecular Medicine and Assistant Dean, Research Infrastructure of the Faculty of Health Sciences. 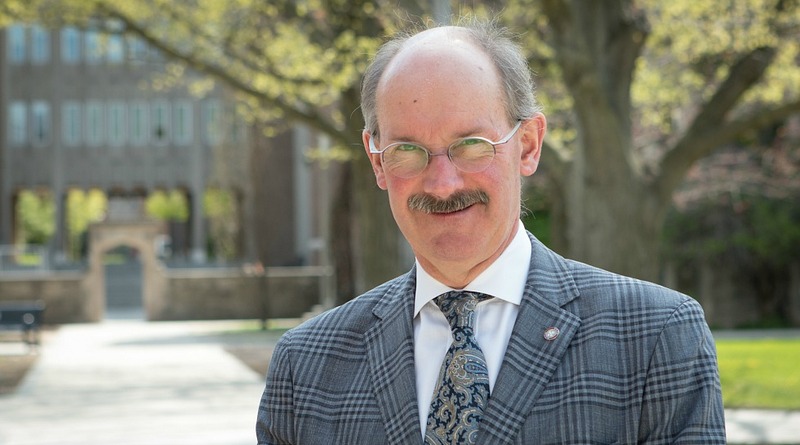 He holds a Tier I Canada Research Chair in Translational Cancer Immunology, the John Bienenstock Chair in Molecular Medicine, and is the Managing Director of the Fraunhofer Project Centre– Biomedical Engineering and Advanced Manufacturing (BEAM). Bramson will meet with representatives from research institutes, technology transfer centres and companies to explore research collaborations and commercialization opportunities. “We are pleased to take part in this mission and to support the Premier’s efforts to strengthen ties and encourage new investments and partnerships between our two regions,” says Mascher. “This mission provides McMaster with an opportunity to build on our key relationships in the post-secondary and innovation sectors and to find new pathways by which we can learn from each other and create mutually beneficial research and academic collaborations.” This is the third time in the past year that McMaster has been invited to participate in an international delegation led by Premier Wynne. Mascher also took part in a <a href="http://dailynews.mcmaster.ca/article/mcmaster-signs-mous-with-some-of-chinas-top-universities/">research and development summit in China</a> last November, and in a business and <a href="http://dailynews.mcmaster.ca/article/mcmaster-joins-premier-wynne-in-india/">higher education mission to India</a> earlier this year.